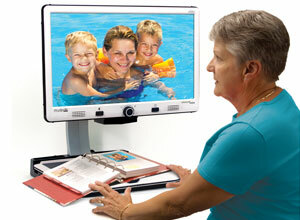 The Merlin Elite PRO is the ‘top of the line’ digital video magnifier of all the Merlin products. 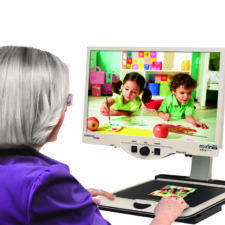 The Merlin Elite PRO is a low vision aid and features both a top of the line Sony 1080p HD camera for viewing magnified information, plus it is a FULL-PAGE text to speech system, containing a 13mp camera, resulting in an extremely high accuracy of text-to-speech conversion quality. 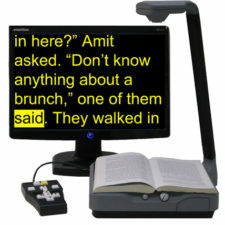 The Merlin Elite PRO is extremely simple to use, and is wonderful for people who like to read a lot of text. 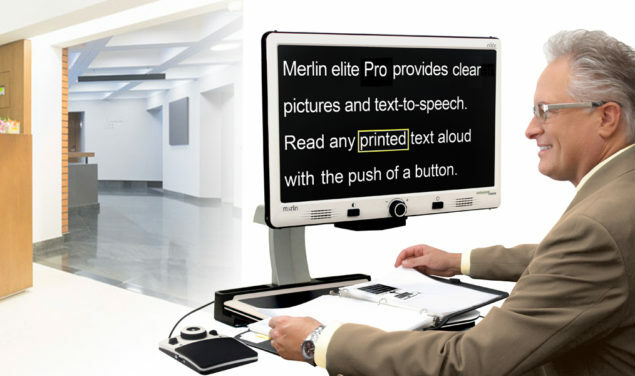 With the simple push of a button the Merlin Elite PRO will magnify the text and read aloud your favorite book or magazine article, newspaper and volumes of other documents. 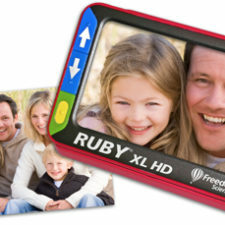 You will be able to view photographs and other images in high definition color and contrast. 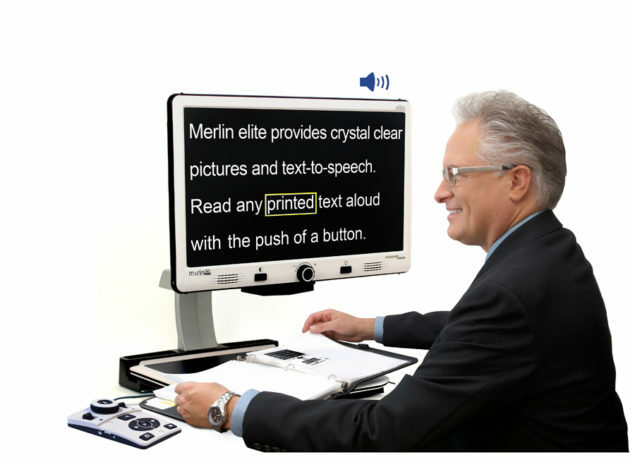 The Merlin Elite Pro is the perfect electronic magnifier for anyone with low vision. 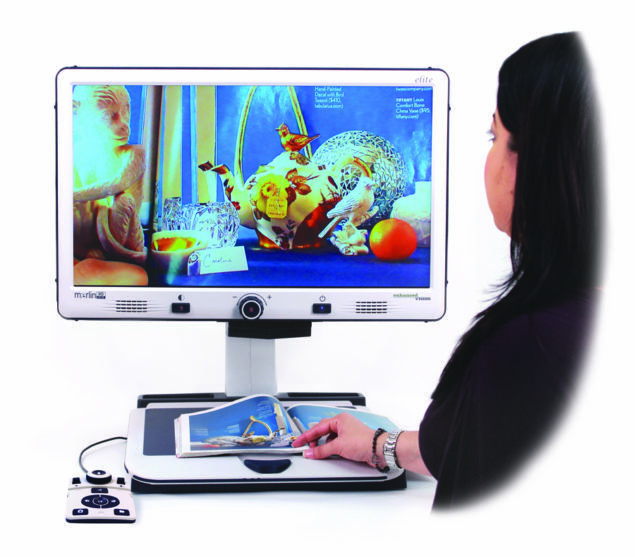 Live independently again and…..
HDMI – Late last year all Merlin Elites (Pro and Non Pro models) started shipping with a new HDMI option for computer toggle. 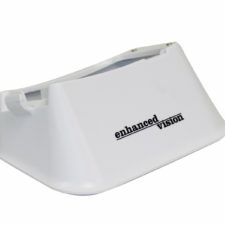 Previously, the option was only VGA. Now we have both! 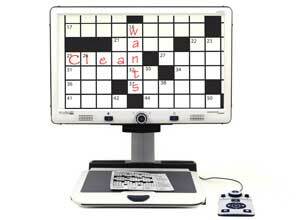 For more information, question and answers, and how to upgrade your Merlin Elite Pro, please <click here>.